its random stuff i have on my disk. 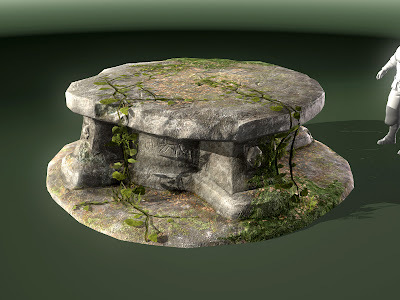 there are mainly props and beauty renders..
so here is the first one, its a druids shrine i modeled from a concept that came from a fan contest..
the price was: being in the game...the initial task was to create an undead shrine.. but since there were many good ones, we also had a second place.. this one was then used as a druids shrine. sculpt in mudbox, render in max. 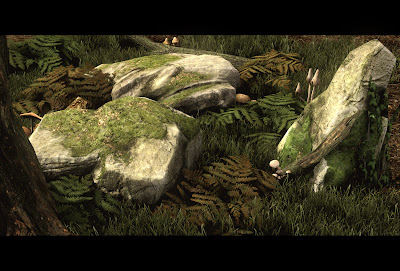 The next one is a render of some vegetation props..
the grass was the gothic 3 grass..i did a new one for risen. here is another foliage thang, i also have on my page www.saschahenrichs.de for ages now..
the last one is a concept render, to get an idea how dungeons could work.. Thank you Sacha for your blog, coming from archviz myslef it's really intresting to read how you work for the in game CGs. I think I might borrow you some thechinque for testing purposes :) I've sometimes wondered why we, achitects, don't inspire ourselves much more from the real time enivronements & workflow when I see games nowadays. Vertex painting was not useful for me before I stumbled upon your dunes tutorial, thank you very much ! Just a question, what do you mean by "beauty pass" ? PS: your "post comment" button color is almost unnoticable on the background, I first tought comments were disabled... perhaps you should change this in you template. Nice, thanks but somehow I liked the Gothic 3 fooliage more maybe because it looks a bit more realistic. 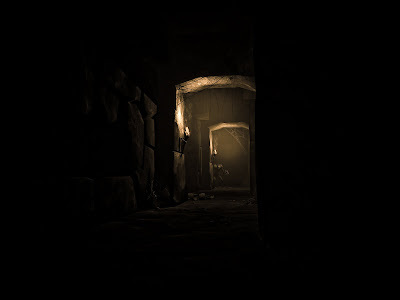 "Thank you Sacha for your blog, ...I've sometimes wondered why we, achitects, don't inspire ourselves much more from.. games"
hi pixel, thanks for your kind comments, i'm glad you like the blog! well, the opportunity, to use game workflows and realtime engines also in archviz, is not new. in fact crytec makes more money with archviz and engine licensing in archviz sector than with their games..their games are not only for making money in games sector but are also used as a platform to show the capabilities of their engine to a very wide spectrum of people. if i were in archviz i'd try to mainly rely on realtime rendering, since the quality is just great nowadays. and hey, even when the moneys is not enough for a cryengine, then you could always also fake good qualtiy in cheaper engines (i.e. 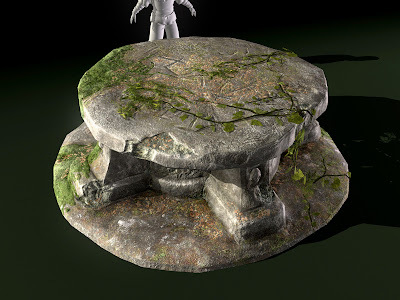 use fake GI with point lights or spots, render ambient occlusion maps etc..) its just a bit more work. -> vertex panting: yes cool, that this could help you out! you can also use vertex color for masking other things or material slots. also you could use them for tinting textures. i.e. if you have plenty of ojects and want them be colored randomly and such..
@braunbart: thank for your comment! yes the risen greens are a bit more painted (grass) and cartoon like. 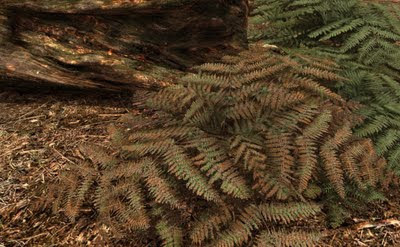 perhaps you like to see the G3 foliage at www.saschahenrichs.de under the "objects" section..